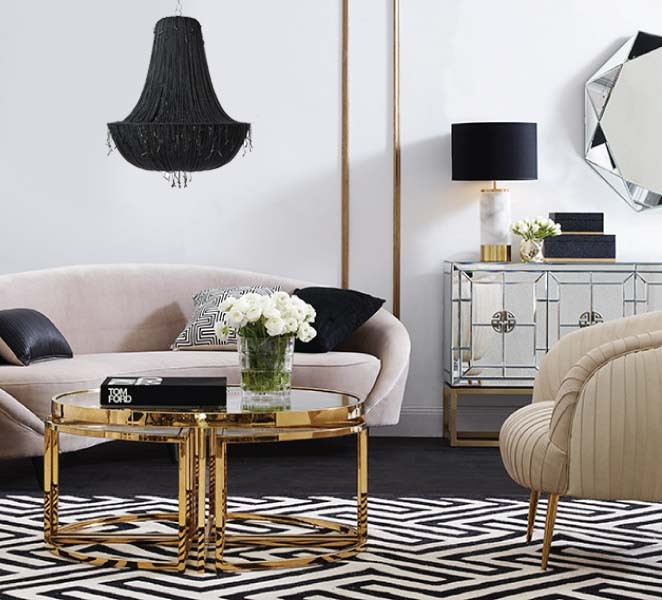 Hollywood Glamour is one of our favourite styles in interior design. The style became hugely popular during the 1930’s golden age of Hollywood, by actors William Haines and Dorothy Draper who later became interior designers. To inspire you, we have curated a collection of pieces below, so you can ‘Shop this Look’ with ease. Please contact us if you are interested in chatting with us about our interior design service, or if you would like us to help you put together a custom style package.